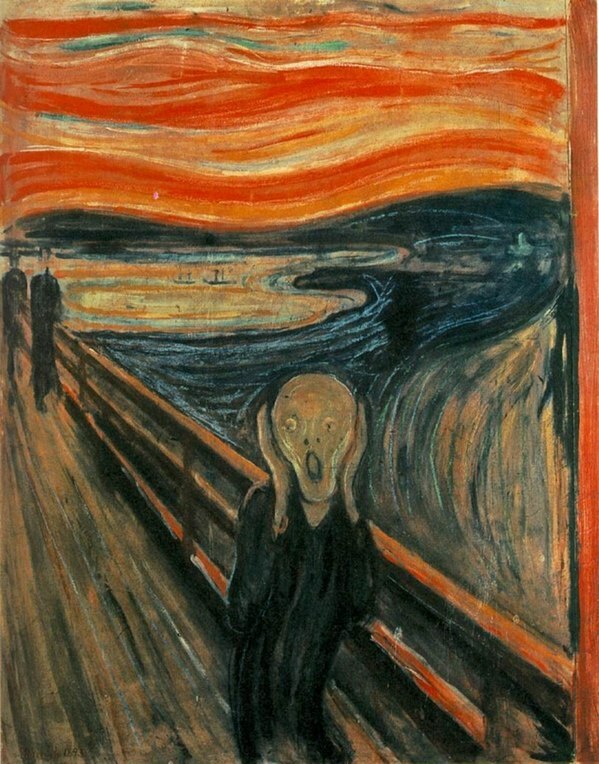 “The Scream,” by Edvard Munch. “At the end of the day, if you look at what has contributed to increases in physician burnout over the last decade, it’s not that we have less resilient physicians. Physicians have always worked long hours, and physicians have always had stressful, demanding jobs. It’s the loss of autonomy, the pressure to do more with less, the ever-increasing documentation requirements, RVU-, and patient satisfaction-based reimbursement, the rise in student debt, and increasing social isolation as doctor-patient relationships and relationships among colleagues suffer as a result of time constraints, uncertainty about the future, and lack of flexible work options that reflect changing physician demographics, amongst other things. To read her entire essay, please hit this link.